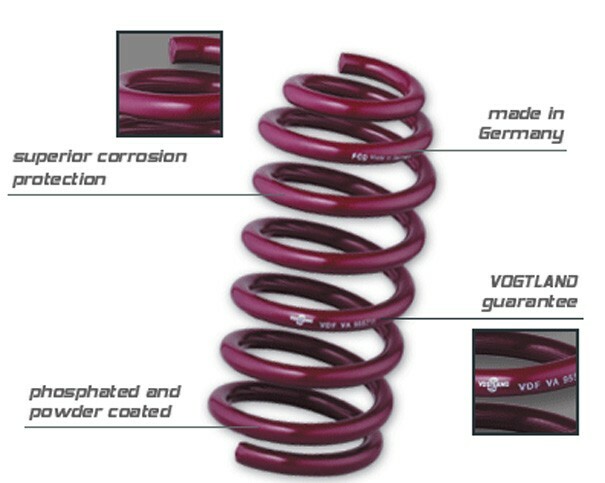 VOGTLAND CAR AUDIO SPRINGS are the first product of its kind to bridge the gap between the 12 volt enthusiast and performance suspension markets. 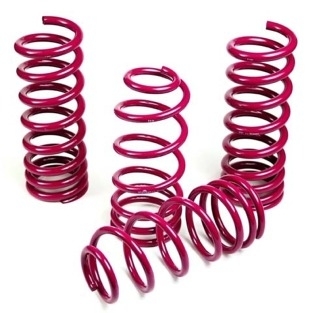 Manufacturers of premium performance springs and suspension kits, Vogtland North America specifically designed its "Audio Spring Kits" to provide the necessary load capacity to properly lower your vehicle when car audio gear and electronics are installed. The Vogtland "Audio Spring Kit" can handle additional loads up to 110 lbs. (50kg)* in the cargo area of the vehicle. This allows an aggressive profile to your car and maintains the appropriate level ride height for the suspension to function properly.